Gravity filters work as the name says by using gravity to feed unfiltered water through a filtration unit into a clean water vessel, usually a bladder or bottle of some type. This filter is effective against most water borne pathogens but won’t deal with viruses which is usually not an issue in western countries. 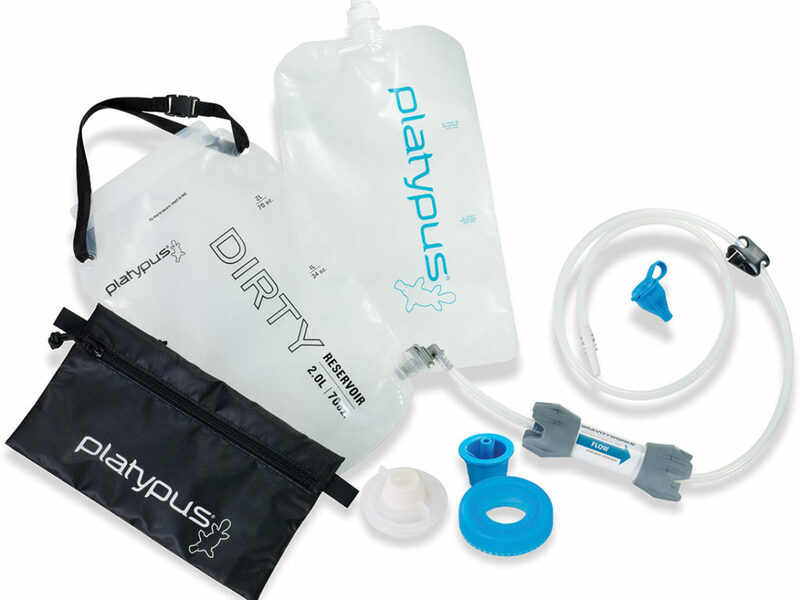 The Platypus Gravity Works 2.0L Water Filter-Complete kit comes with a two litre ‘dirty’ water bladder, a filter, a clean water bag, and various connections to connect to bladders or water bottles. The kit also comes as a 4 litre option but unless you are dealing with very large groups of say five or more people then this two litre option works well. 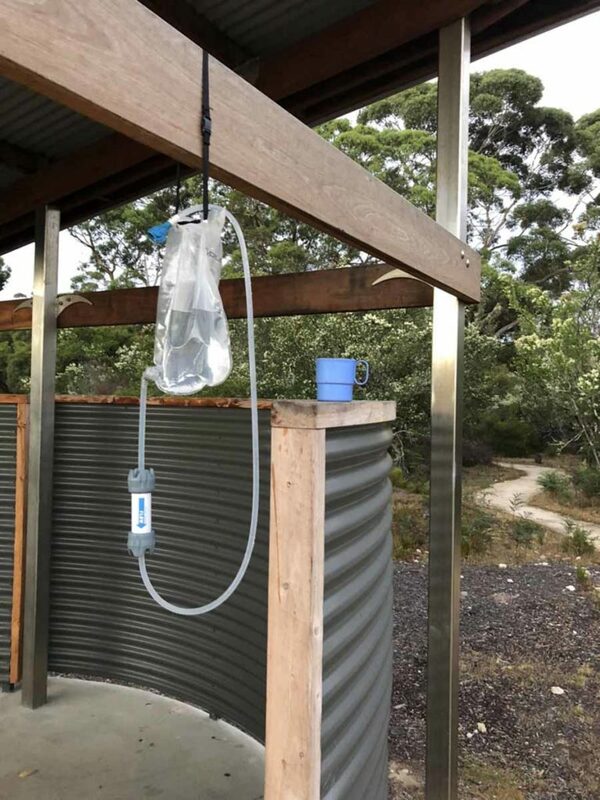 The first time I used this filtration unit on the trail I got a few strange looks as this is not a common filtration system on the Australian hiking circuit. Usually when I solo hike I will use a Sawyer mini as that’s about as lightweight an option as you get. Even with two people we still go the Sawyer Mini option. However when you start dealing in groups of three or more people then this is where the Platypus Gravity Works 2.0L Water Filter really comes into its own. The first time we used this filtration unit it was as the main filter for a group of three people and we would filter the water at the end of the day. 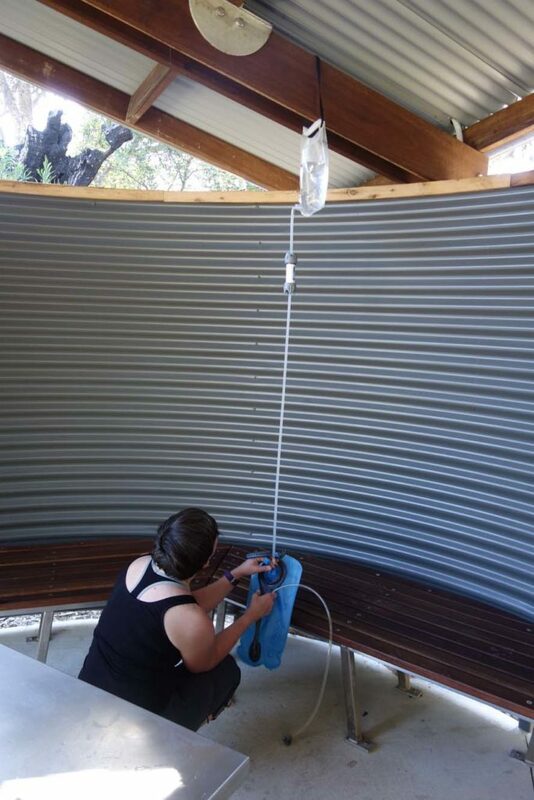 This included filtering our water into our bladders for the next day, filtering enough water for cooking, and filtering an additional two litres of water for use overnight and to fill up with water (for two of us) before we headed off the next day. In all this amounts to around 12 litres of water in total. 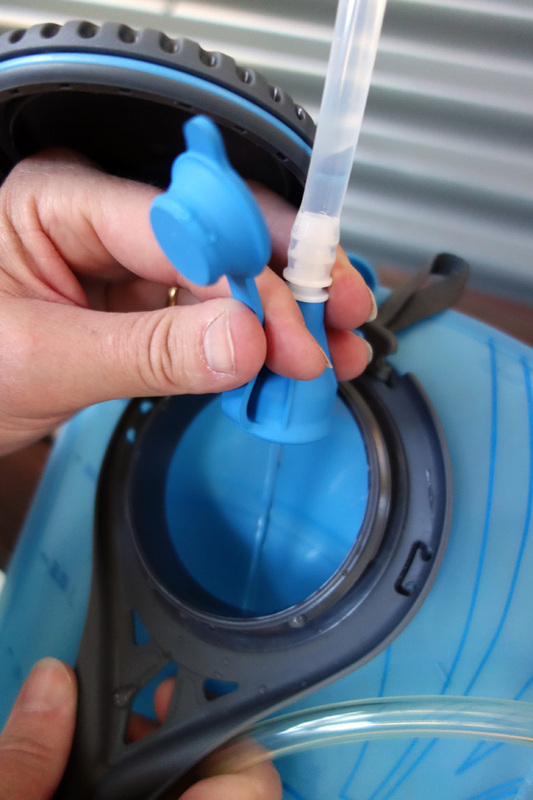 Each two litre filter took around three minutes and that included the time to fill up the ‘dirty’ water bag and to filter the water into our bladders. The Gravity Works has an estimated life span of 1500 litres which for the hiking Gill and I do and using around 4.5 litre of water per day per person (mid summer) then this filter will last for 166 days of trips. This means that we will get a lifespan of around 2+ years which is pretty good by any measure. For each day of water filtering, the cost works out at around $0.75 per person. Using this filter is as simple as filling the ‘dirty’ water bladder (it’s labelled as dirty so there no confusion), connecting the filter and holding/hanging the bag up to allow the water to drain into whatever storage container you use. 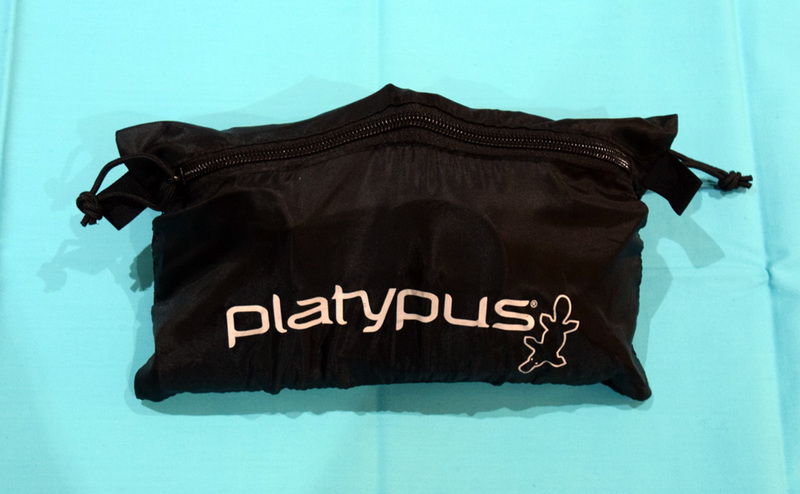 The complete kit comes with a clean water bladder but usually I don’t use this. Instead just fill up my hydration bladder directly and then leave the bladder hanging up for use at camp and overnight. There is absolutely nothing wrong with using this filter as a solo hiker and even if you carry the full kit it only weighs 325 grams. The Sawyer Mini weighs in at 81 grams (with the cleaning plunger so you can see that with three or more people the Platypus Gravity Works 2.0L Water Filter actually works out as being a light option for the group. I was pleasantly surprised at how easy this unit was to use and if you only want one filtration system that caters for all your hiking and camping needs then this is a great option for filtering large amounts of water very quickly. Please note that our affiliations do not influence, in any way, the independence of our gear reviews, If we don’t like something, you’ll be the first to know!